The top 50 is being broken down in to five ten team segments. You can find the other segments here: #50-41, #30-21, #20-11, #10-1. The top rated (true) freshman in the Big East last season was found in Xavier’s 2017 class. Paul Scruggs was rated #34 overall by the 247 composite and a 5-star in some services. It wouldn’t be a stretch to say that Scruggs didn’t quite live up to the expectations of his ranking. He settled into the role of backup guard, playing at both the one and two position. He struggled off the bench during the first half of the season averaging 3.6 points a game on 41% shooting. More concerning was the turnovers, he was giving the ball away almost two times a game despite very limited minutes. He started to find his way in the second half, increasing his scoring and cutting down on the turnovers. He established himself as the first player off the bench and showed flashes of why he was rated so highly coming out of high school. The Musketeers are losing a ton of talent and scoring on the wing with the departures of Trevonn Blueitt and JP Macura. True freshman Keonte Kennedy can shoot it but likely needs time and incoming grad transfer Kyle Castlin was the 5th starter for a bad Columbia team. If anyone is going to fill that void it will be Scruggs taking the next step. His defense is already there. He is a hellhound of an on ball defender, using his superior strength to bully smaller guards and hold off taller wings. Where he will need to improve is on offense. He showed some flashes as a freshman but his O rating was terrible, second to last on the roster only to the seldom used Elias Harden. If he can increase his efficiency while being an effective starter and backup PG to Quentin Goodin than he could outperform his ranking here. AJ Reeves is a big guard from a tiny school just off of Boston College’s campus. He is athletic and strong for a true freshman and has room to put on even more muscle. He is a decent shooter with a great pull up game that has become a lost art in college basketball. He played the point for his high school team but that is not his natural position. While he is an athletic specimen, he is currently lacking in lateral quickness and that limits his effectiveness on defense and his ability to create on his own. Providence loses a trio of starters to graduation but fortunately bring in a lot of options to replace them. Reeves makes the cut for top 5 by being one of the top-rated freshmen heading into the Big East. Along with fellow true freshman David Duke and known stud Alpha Diallo, Providence will feature one of the longer and more athletic backcourts in the conference. Reeves may not start initially due to the similarity of his game to Diallo. Starter or not, Reeves should make an instant impact as a Friar. Straight from one Friar true freshman to another. The unfortunately named David Duke did not have to travel far from home to join Ed Cooley’s squad. Duke is a Providence native and did his prep work at local basketball powerhouse Cushing Academy. He was a late bloomer in the rankings, starting as a relative unknown but soaring into the top 50 before he committed. Duke is a combo guard in the truest sense of the phrase. He has elite level speed and size which he uses to attack the basket with both hands. He is a versatile defender that can guard all three guard positions which makes him perfect for an Ed Cooley defense. He has all the makings of the next great Providence PG. As the top-rated non-Villanova freshman in the Big East, Duke got the nod over a couple of veterans for Providence. Rising junior Maliek White and former top 40 recruit Makai Ashton-Langford will both try to claim the starting PG slot. If something were to hold Duke back it is his shooting. He has athleticism, slashing, and defense in spades but his jumpshot is a work in progress at best. With Providence losing over 80% of its three-point shooting from last season to graduation, Cooley may be forced to go with better shooters in the starting lineup, not that White or Ashton-Langford are known as snipers. Whoever starts, Duke gives Providence a high energy defense first guard that is only just starting to realize his potential. He will be a nightmare for Big East opponents for years to come. Coming out of high school, Jalen Coleman-Lands was a top 40 recruit playing for elite basketball prep school La Lumiere. He spent his first two seasons in Chambana, where he racked up a reputation as a scorer. His freshman year, he set an Illini record for most 3PM by a freshman with 87 to go along with 42% accuracy. He took a step backwards as a sophomore, losing minutes, points, 3PMs, and accuracy. He was still a three-point threat but that was about all he was bringing to the table. When Coach John Groce was fired at the end of the season, Coleman-Lands decided to look for a new home. When DePaul hired Shane Heirman, his old coach at La Lumiere, as an assistant, that made his decision easy. Coleman-Lands will bring a much-needed injection of 3P shooting to the Blue Demons. DePaul ranked dead last in both 3P% and 3PM last season. His presence should open up the floor for slashers like Eli Cain and take the pressure off Max Strus, allowing him to take higher percentage FGs. The question for Coleman-Lands will be if he has been able to diversify his game at all. His 2P FG% at Illinois was abysmal, only connecting on 32.9% of his 2P attempts as a sophomore. His defense is also a concern. DePaul hung its hat on the defensive end last season and Coleman-Lands’ DRtg was second lowest on the team in his most recent season. It was a bit of a surprise when Jordan Tucker committed to the Blue Devils. He was talent with tons of upside, no question, but with most recruiting services ranking him closer to 100 than to 1, it was hard to see him earning a lot of playing time for a blue blood. Unfortunately for Tucker, that scenario played out. He saw 14 minutes total spread over two blowout victories in Duke’s non-conference season. That was enough motivation for Tucker to transfer in the middle of the season. After narrowing it down to two Big East schools, Tucker decided to join the Butler Bulldogs. Tucker is a large and athletic wing with scoring ability from all three levels. Offensively, he uses his size to create mismatches on the wing. He can shoot over shorter opponents from range or simply use his strength to bully his way to the rim. His defense is more of question mark. While he plays on the perimeter on offense, his lateral quickness is average at best and he may struggle guarding quicker wings. Butler fans are hoping that Tucker can be the answer to Kelan Martin’s departure. There are some similarities to their build and games. Tucker should give the Bulldogs a boost heading into conference season. How well they integrate him into an already set rotation could be the difference between a top and bottom half finish in the Big East. 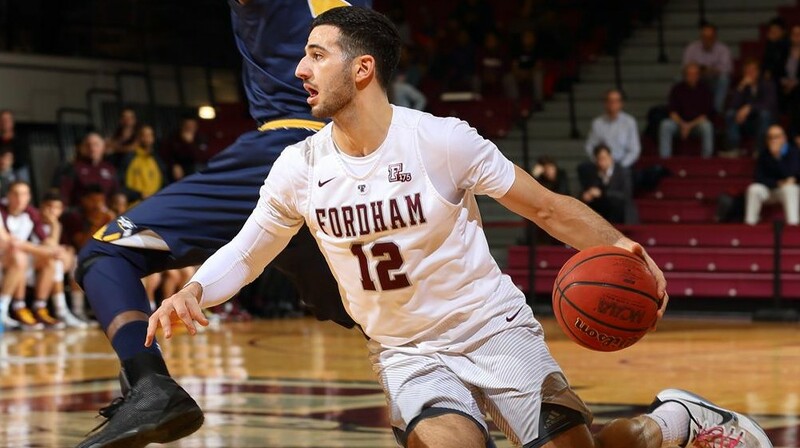 The guards of the Atlantic 10 breathed a sigh of relief when Joseph Chartouny announced he was transferring for his senior season. The Lebanese-Canadian has been making opposing ballhandlers look silly for the past three years. Chartouny led the country in steals per game last season, was second the season before, and was 2nd in steal% in both seasons. He’s not overly fast or athletic, he’s just a very smart and opportunistic guard with quick hands. In addition to his thieving abilities, he is an elite distributor. He led the Atlantic 10 in assist percentage as a freshman and was in the top 4 in his other two seasons. The one area he didn’t excel is scoring. His 43.6 eFG% from his most recent season ranks as the third worst on this list. There is some hope though, his sophomore year when he had better teammates he shot 38% from deep and a respectable 50.7 eFG%. Drop him on a team where he is the 4th or 5th scoring option and that number could go up. Chartouny wasn’t the best grad transfer on the market this season, but he may have been the perfect one for Marquette. It’s no secret that the Golden Eagles have been a hot mess on defense the past two seasons. A big part of that has been starting two sub 6 foot defensive liabilities in Andrew Rowsey and Markus Howard. Rowsey graduated and replacing him with a defensive stopper like Chartouny should do wonders on that end of the floor. Offensively, Chartouny should step in as the floor general to an already high-powered offense. He put up great assist numbers at Fordham despite a lack of quality offensive weapons. He couldn’t ask for a much better upgrade than Marquette. It took a while, but we are finally at our first Villanova Wildcat. It was a tough call but we went with true freshman Cole Swider over rising sophomore Dhamir Cosby-Roundtree. In the end, it came down to a lot of positive comments about Swider coming out of practice, and the fact that he seems like the perfect Villanova recruit. Swider is known as one of the elite shooters in the 2018 class. He has the athleticism of wing but will likely be utilized as a stretch four at the college level. Shooting is his trademark but he has strong ball handling skills and has even developed a deadly little floater. Even if its not this season, Swider is going to be a problem for defenses for the next couple of years. One of the biggest Big East offseason storylines has been how will Villanova retool after losing a historic four players to the draft. Having one of the top recruiting classes in the country is a great place to start. Swider’s mix of size and speed allows him to be interested into the lineup in a couple of different ways. He can be paired with a traditional center like Cosby-Roundtree or play next to Eric Paschall to create the three-point shooting lineup of death that the Wildcats have become known for. Swider was known as a bit of a shot hunter in high school but Coach Wright will get that straightened out easily. New Xavier skipper Travis Steele was determined to make sure that 18-19 was not a gap year for the Musketeers. He picked up not one, not two, but three grad transfers in order to gain some much-needed depth. Ryan Welage is easily the best of the trio. The Indiana native moved a lot closer to home after spending the last three seasons on the left coast. As a member of the Spartans, Welage established himself as an elite scorer. In his three seasons, he set the San Jose State record for career 3PM and finished in the top 5 for career points. He was the star this past season averaging 18 points with impressive efficiency, but all his scoring didn’t make a difference as the Spartans stumbled to a 4-26 record. A new coach and new roster may also mean a completely new playstyle for the Musketeers. They have been defined by stellar play from their wings, but with both Macura and Blueitt gone there may need to be a new focus. Welage has the height of post player but his game is perimeter oriented. He shot from beyond the arc with 42% accuracy last season and is very comfortable facing the basket and shooting from mid-range. Despite his height, his rebounding leaves a lot to be desired. 5.4 a game may seem like a decent number but when you account for how many minutes he got it is surprisingly low. His defense is another concern for Coach Steele. He is too weak to bang with posts and too slow to cover wings. San Jose State was a bad defensive team and Welage’s DRtg was among the worst on the roster. Though the height of Naji Marshall, Tyrique Jones, and Welage in Xavier’s 1-3-1 zone is an enticing thought. As a recruit that was ranked towards the back of the top 100, there wasn’t a lot of expectation for Nate Watson to make a huge impact as a freshman with a senior laden team such as last year’s Friars. The injury to Emmitt Holt left a hole in the post and Watson stepped in admirably. Watson is a wide load in the paint that loves to get buckets. In less than 14 minutes a game, Watson average almost 7 points, giving him a points per 40 of 19.8. He was one of the most efficient scorers in the Big East with a 2P FG% of 59.5%. Watson’s range is limited. He’s not going to face the basket and shoot. He is a post you up and back you down type player. With his size, often the only way to stop him is to foul him, which gave him the second highest FTR on the team. He is very strong on the offensive glass and gets a lot of putbacks, but he needs to work on rebounding on the defensive end. Holt is back this season but Watson’s presence should allow him to move to a more natural position at the four. Watson will have to fight off rising junior Kalif Young for time. Young is the much better rebounder and defender but Watson’s scoring ability should give him the edge. Something that Watson will have to develop is the ability to kick out of the post. Watson had four assists total last season. And I know for a fact that opposing coaches have told their players during scouting sessions “he doesn’t pass the ball, swarm him” which led to him having a high number of turnovers in the post. Watson will draw a crowd whenever he touches the ball and if he can learn to pass out of it, it could open up some shots on the perimeter for the Friars. Georgetown is the first team on this list to have their fourth player appear. Hoya fans may not be thrilled but they can relax knowing that their fifth and final won’t be seen for a while. Kaleb Johnson was a back of the rotation type player during the JT3 era. Whether it was out of desperation, or a better eye for talent, Coach Ewing inserted Johnson into the starting lineup from his first day as coach. Johnson responded well, putting up massive numbers during the non-conference season. These may have been a bit of fool’s gold. Georgetown had a historically laughable non-conference scheduling, facing a plethora of sub-300 level teams. Johnson gorged on the high fat cupcakes, averaging 11.6 points, 5.1 rebounds, 2.4 assists, 0.6 steals, and 1.0 blocks a game. He didn’t have nearly that level of success against Big East opponents. Instead his average stat line was 6.2 points, 3.8 rebounds, 1.9 assists, 0.6 steals, and 0.6 blocks. What Johnson does do very well is take good shots. His eFG% is top 10 on this list and his 2P FG% is an absurdly high (for a wing) 63%. What holds him back is his usage. Johnson was very content last season to sit back and let the stars Jessie Govan and Marcus Derrickson, and even bench players like Jahvon Blair take the lead. With half of the dynamic duo gone, Johnson will need to step up and make a few more shots. If he can do that without sacrificing his efficiency, he could have a big impact in his swan song season. Combine that with solid rebounding numbers, great passing from the wing, and lockdown perimeter defense and Johnson could have a very good senior campaign.